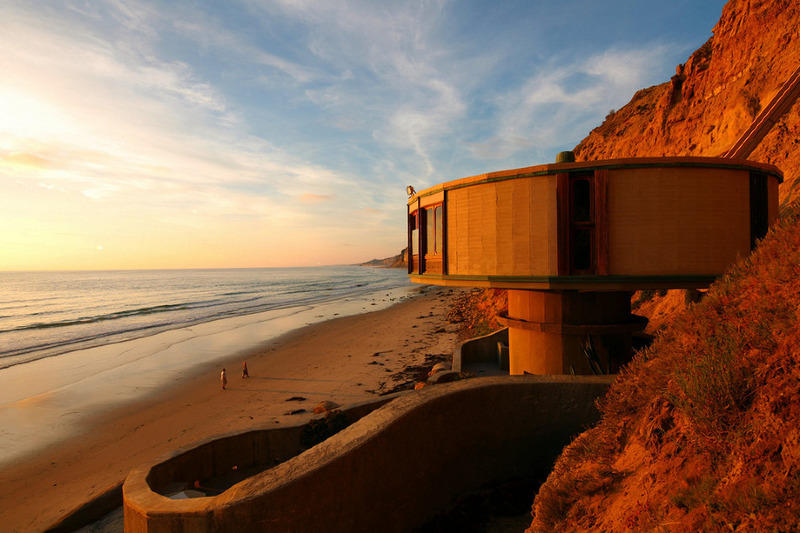 In 1960 Sam Bell heir to General Mills (Bell Potato Chips) purchased a summer home with a spectacular view of the Pacific Ocean. 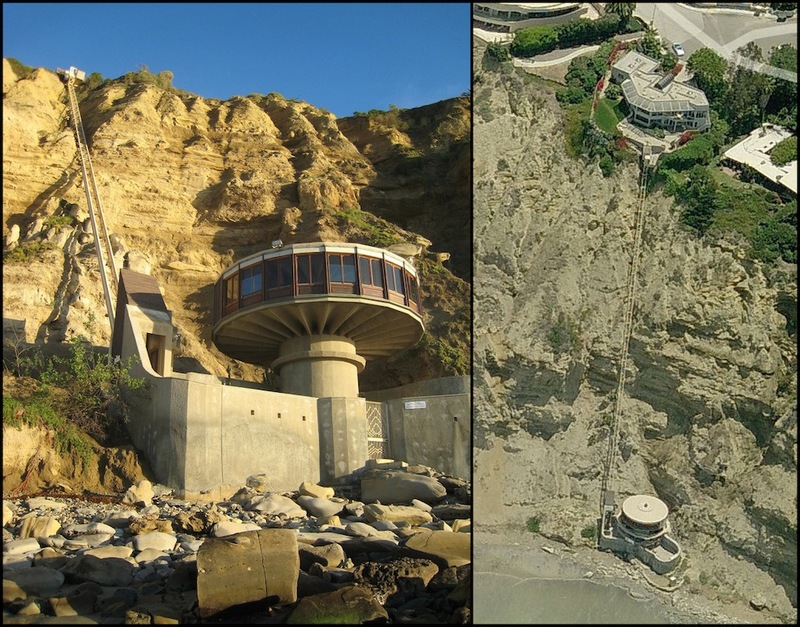 His property extended down a 300 foot cliff to the mean high tide line of the surf below. His beach is isolated 4 miles from public access to the North, and is accessible only at low tide through rugged, slippery rocks from the south, and remains unused and out of sight. Only surfers, 100 yards away can see the mushroom shape of the guest retreat. The retreat’s remote location was the principal reason for the mushroom shape in that, the architect’s design had to honor natures mightiest destructive force and be capable of resisting not just tidal waves, rock slides, earthquakes, fire, wind, or rain storms…but kids! Fortunately, the Pavilion (guest retreat) and tramway is now in the ownership and superb care of Buzz Woolley. 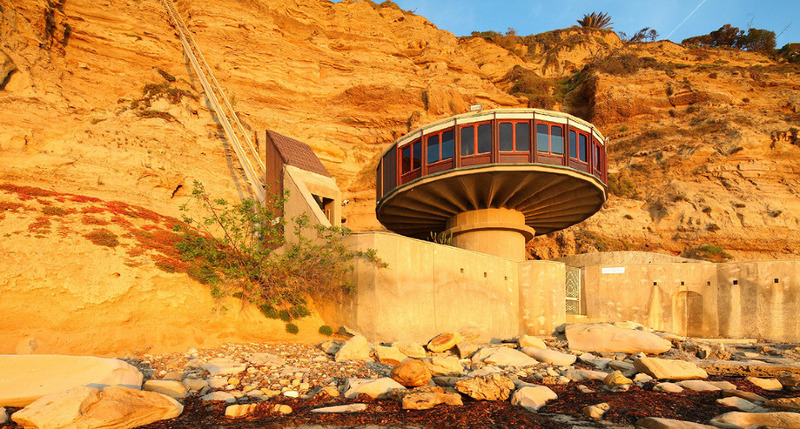 The pavilion remains La Jolla’s best kept secret only sea lions, seals and surfers know of it.